Know this: There's a big difference between a "Criminal Records Search" and a "Criminal Background Investigation". 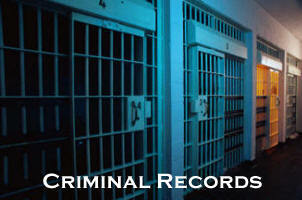 A "Criminal Records Search"� will search only a single database imputing the identifying information you've provided. On the other hand, a "Criminal Background Investigation", will discover and verify your subject's personal information, thereby establishing positive identification - plus searching a variety of databases. Investigative Professionals will compile a through Report with results from four levels of searches: Federal Courts search; National Department of Corrections (felons) search; Statewide and County Criminal Courts. Also included are An Identity Profile Report, and Address History reports. Our Expert Researchers track down all available records: felonies, misdemeanors, arrests and warrants, and sexual offender databases - plus DUIs and DWIs. We forward all derogatory entries on your subject's credit report, such as bankruptcies, tax liens, and judgments. Civil court records are scrutinized for law suits and legal entanglements. International OFAC Patriot Act database searches are also included.